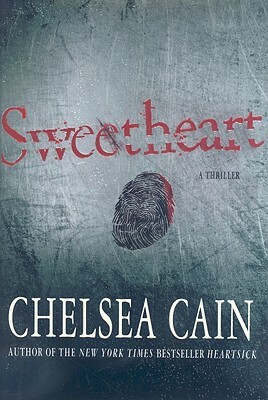 With "Heartsick," Chelsea Cain took the crime world by storm, introducing two of the most compelling characters in decades: serial killer Gretchen Lowell and her obsessed pursuer Portland Detective Archie Sheridan. The book spent four weeks on the "New York Times" bestseller list and garnered rave reviews around the world. But the riveting story of Archie and Gretchen was left unfinished, and now Chelsea Cain picks up the tale again. When the body of a young woman is discovered in Portland's Forest Park, Archie is reminded of the last time they found a body there, more than a decade ago: it turned out to be the Beauty Killer's first victim, and Archie's first case. This body can't be one of Gretchen's--she's in prison--but after help from reporter Susan Ward uncovers the dead woman's identity, it turns into another big case. Trouble is, Archie can't focus on the new investigation because the Beauty Killer case has exploded: Gretchen Lowell has escaped from prison. Chelsea Cain has topped her own bestselling debut thriller with this unputdownable, unpredictable, edge-of-your-seat read. Chelsea Cain lived the first few years of her life on an Iowa commune, then grew up in Bellingham, Washington, where the infamous Green River killer was "the boogeyman" of her youth. Her first novel featuring Detective Archie Sheridan and killer Gretchen Lowell, "Heartsick," was a New York Times bestseller. Also the author of "Confessions of a Teenage Sleuth," a parody based on the life of Nancy Drew, several nonfiction titles, and a weekly column in "The Oregonian," Chelsea Cain lives in Portland with her family. "Heartsick is worth all the hype... brilliant." "A vivid literary style lifts this well above the usual run of suspense novels.... Outstanding."